I met the talented duo behind Authentic Food Quest at WITS in Irvine this past March and immediately fell in love! 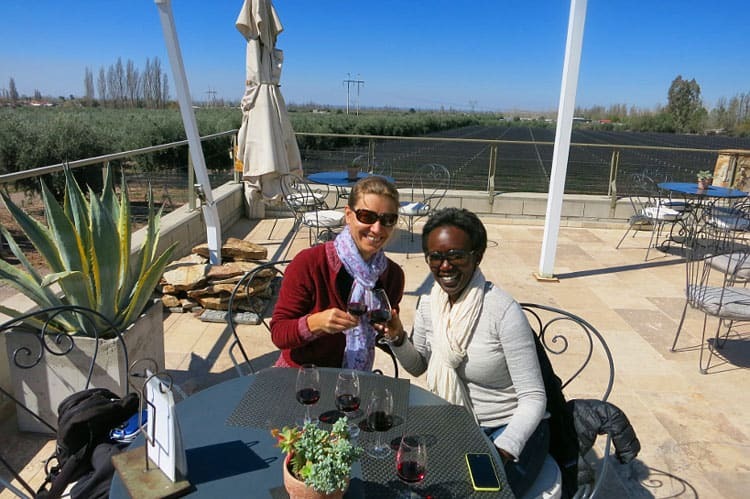 Claire and Rosemary quit their corporate jobs to travel the world and dive deeply into the food culture and the experiences of great destinations near and far. And while I love living in the RV, the idea of traveling the world with these two enthusiastic foodies is tantalizing! Maybe this duo should be a trio! Let’s meet Claire and Rosemary! R: Leaving Kenya and moving to the U.S. first ignited my love for travel. 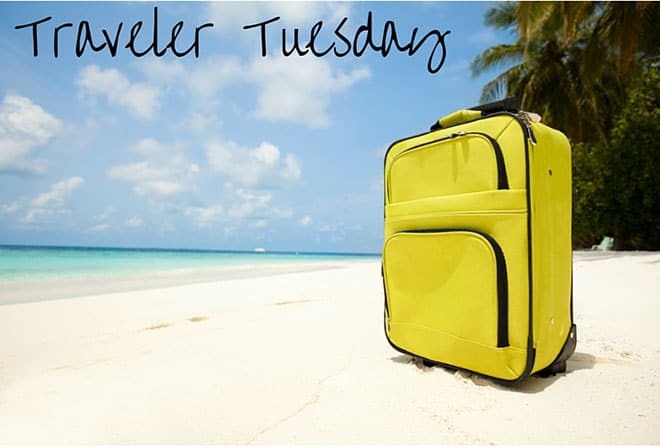 In my previous career in advertising, I traveled throughout the U.S. and enjoyed discovering the country. Living in Paris for 3 years and traveling around Europe also for my job exposed me to many diverse cultures and fueled my desire to see the rest world. C: I’m originally from France. My interest in traveling was sparked by my parents who used to take us to different parts of France and neighboring countries every summer. While in Engineering school, I studied abroad in Canada and in Brazil and those experiences fortified my desire to travel. Shortly after I graduated, I looked for opportunities to work abroad and finally got a position in the U.S. where I travelled around the world for work. We both enjoy visiting cities and urban centers. The vibrant energy and ability to blend in and be a part of the heartbeat of the city is exhilarating. On the flip side, being one with nature and hiking through the natural beauty of the mountains, rivers, and lakes is also very calming. We enjoy the two contradictory environments. R: Visiting Machu Picchu in Peru in January 2016. This was the powerful realization of a childhood dream. C: Hiking the Vallée des Merveilles (Valley of Marvels) in the French Alpes. R: My phone which has my music and favorite meditations. My journal for personal reflections and a hat for the bad hair days. R: I have done some form of exercise. C: I have accomplished something, a task for the business, a personal chore, or finish a chapter from the book I’m reading. R: Sunscreen. The common and prevailing myth is that people with dark skin don’t need sunscreen (we do burn). C: Swiss army knife: it has helped me in so many situations: fixing sandwiches, wine opener, beer opener, can opener, scissors to cut bandages, screwdriver to fix anything on the go and much more! Waking up together feeling refreshed after a restful night. Meditate and journal separately. Go for a bike ride or run for at least an hour. After a healthy breakfast/brunch visit the local farmers market and explore the local food specialties of the region. Connect, share and chat with locals. End the day with a delicious dinner together and a great glass of red wine. Dijon, France – Le Coin Caché, as the name state it is a hidden restaurant with amazing local cuisine for very affordable prices. Hostellerie du Chapeau Rouge, high-end fine cuisine, totally worth it! Lima, Peru – Ronald or Punto Azul our favorites local cevicherias to get Ceviche in Lince neighborhood. Bonifacio, Corsica, France – At the pier, Le Voilier for fine local cuisine (seafood and deer). The Kissing Pigs for good traditional and local products (cured meat, brocciu cheese). Los Angeles, USA – Stamp in Los Feliz for the best breakfast or lunch. For dinner, head to Koreatown for the best Korean BBQ at Chosun Galbee. 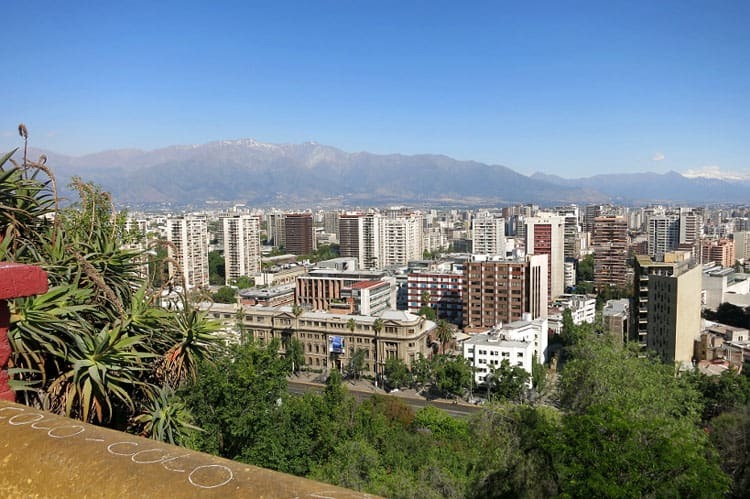 Or check out Little Tokyo for sushi at Sushi Gen.
For both of us….We didn’t have any expectations about Santiago, Chile and we were quite surprised to find it a modern city, quite safe, with lots of green space inside the city. We were also amazed at the huge farmers and fish markets right in the heart of the city. R: That I can have great conversations with locals even though I may only speak a few words of the local language. There is power in a smile and an open heart. C: Gratitude. Very grateful for the opportunity to travel and to discover the world. Grateful for the warmth, the generosity, and openness of people I have encountered on my travels. 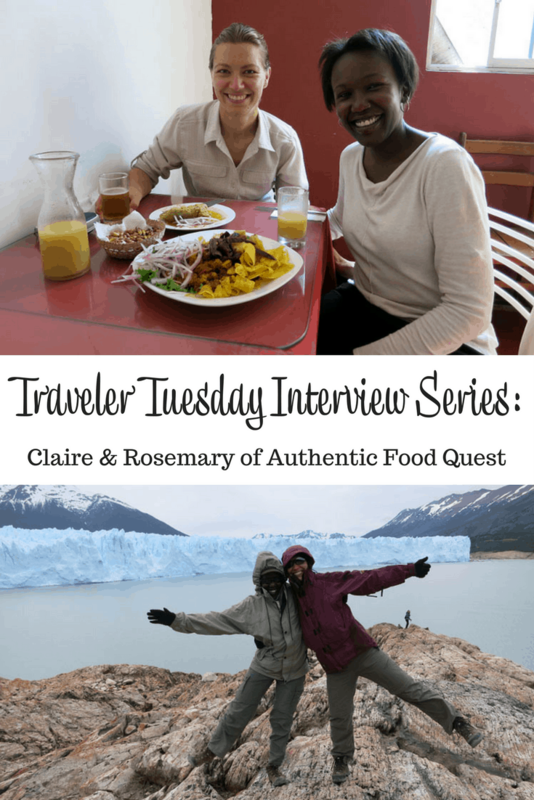 Claire and Rosemary aim to inspire people to travel through Authentic Food. You can follow their quest on Twitter, Facebook or Instagram, and of course on their website. To find authentic food on your travels click here to download their free ebook The 5 Best Ways To Find Authentic Food While Traveling. How about you? What would you like to know about Claire and Rosemary? That is a really interesting interview! Our family does love to travel we just got back from South Africa. I think it is the best way to learn about another culture! My son is eight and he has been to a bunch of the Caribbean islands, Mexico, South Africa in about nine States already! If it was up to me we would do a lot more traveling. What a fun group of people! Wow, what a life, traveling all over. I embarrassed to admit my lack of traveling. I’m so envious. I want to join them too. That would make four if you come. Hopefully it won’t get too crowded :). All joking aside – what an awesome post. Love these ladies! They inspire me. Hey Monica! That’s sounds wonderful. Would love to have you join us on our quest. 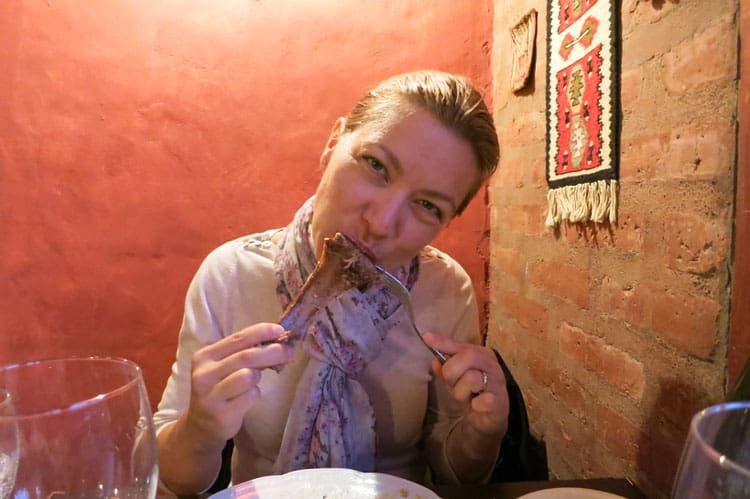 We completed our 6 months quest to discover authentic food in South America. Our next quest will be in South East Asia starting in October. 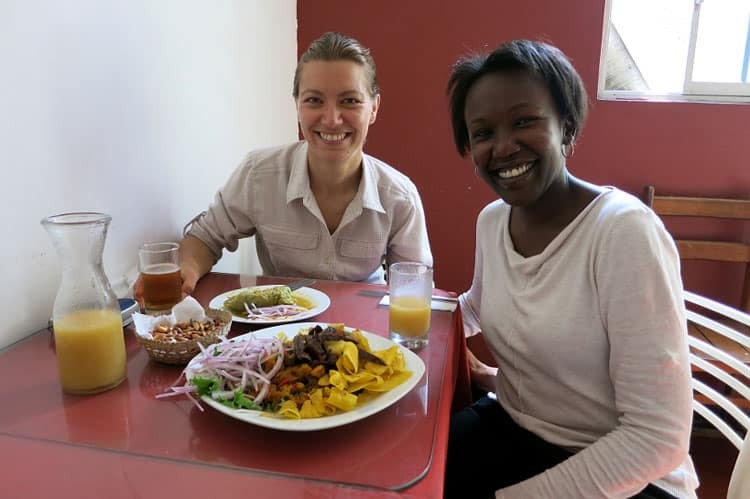 We’re actually thinking about having “authentic food quest meet ups” with travelers who want to join us to discover authentic food and local specialties. Will you join us? IM the same way about exercise. My day just doesnt feel complete without it! Oh how I’d love to do something like this. Looks like a ton of fun! That food all looks wonderful! I want to hear more about what they are eating in those photos. It looks yummy! Thanks Linda for your comments! We are really enjoying our quest to discover authentic food around the world. You nailed it! After a 6-month tour of South America, we will soon be releasing our first book about the delicious and authentic foods from Argentina. Stay tuned! What a great life traveling all over the place. Very exciting! I love to travel and want to visit some of the places they mentioned. My next destination is Honduras! Wow you’re living the good life! 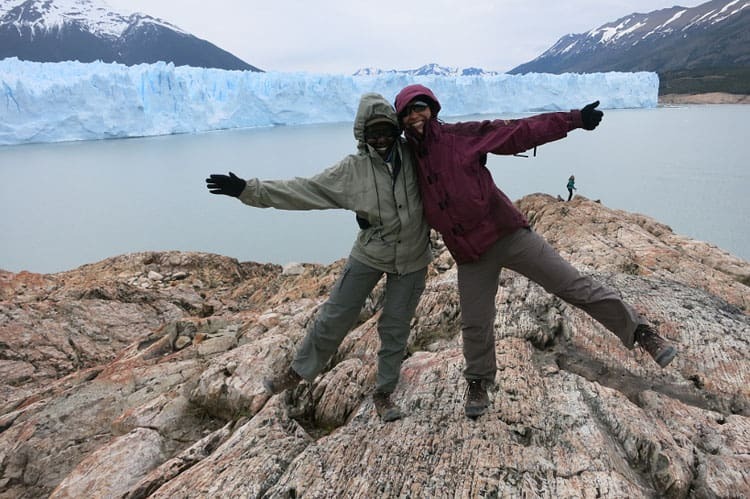 And how cool is the glacier pic! Love this! What a great interview. When my kids are older, I would like to do a lot of traveling. How much fun to just up and travel to wherever the heart leads! Perfect! Thanks Claire, it is a lot of fun indeed! Although the authentic food doesn’t always look appetizing. 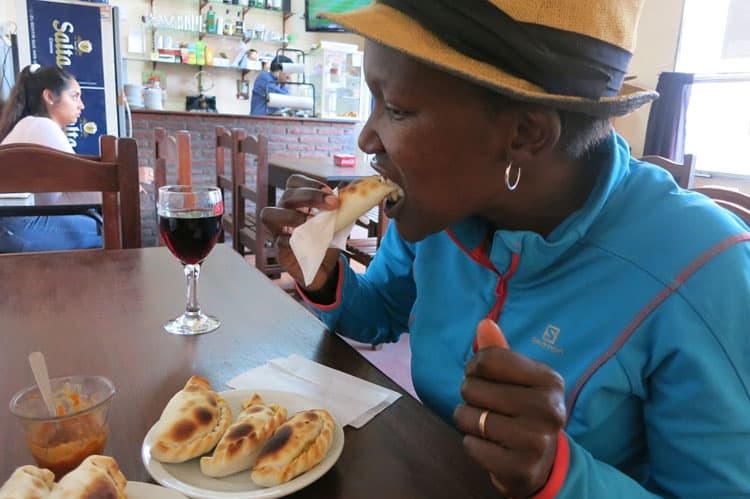 Yes you are right, the empanadas saltenas look amazing and they were the most delicious we had on our trip. Best is to order them by the dozen, they are easily eaten! How inspiring!! These women are awesome! 🙂 This was definitely an enjoyable interview to read, thank you so much for sharing! Thank you Lauryn and so glad you enjoyed the interview. Our goal is to inspire people to travel through authentic with the idea of connecting deeper with the place, locals and culture. It means a alot to us that you found this interview inspiring. Cheers! Wow! What an exciting life! Thank you for introducing me to them and their website! Thank you Dani! Glad to have had the opportunity to share our story with Andi. This is indeed an exciting journey. We’re very happy to have you join our quest. I recently discovered Rosemary and Claire’s blog and I have to admit that I totally love it! Their articles are fantastic so I encourage those who have not visited their blog yet to do so! Thank you for this interview, there were so many things I did not know about the girls. Cheers! Hi Zaria, great to see you here 🙂 We really love your enthusiasm and support. Thank you for encouraging others to come to our site. We love to share authentic food discoveries on our travels and we aim to inspire people to connect deeper through food. Thanks so much. Some of the food looks really good.